Companies care about training. And so do we. According to ASTD, organizations spend more than $156 billion on training in the US alone. With so much effort devoted to training, the big question is: Does anyone really learn? The research results are quite daunting. Only 12% of learners say they apply the skills from the training they receive to their job. At Slido, we’ve witnessed time and again the impact that a well-thought-out meeting design has on the learning outcome. 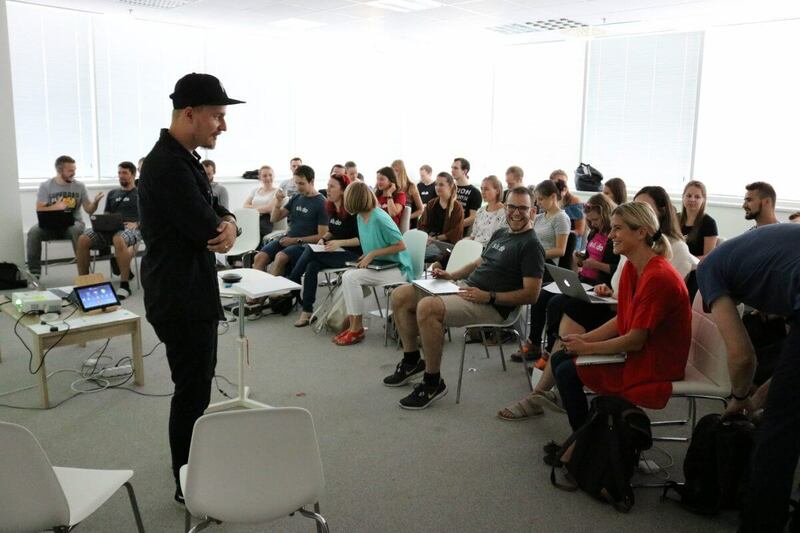 So we couldn’t organize our first Success Day – an internal one-day conference for our Success Team – without thinking about the meeting format holistically. To us, it was an important event. In other words, it was like summer training before a new soccer season. For those of you who look for instant advice, here are the main learnings that we will discuss in this article. Goal 1. Share the knowledge from the regions with our colleagues at HQ. Goal 2. Create a space to exchange the best business practices with one another. To fulfill these goals, we identified three different topics that we had to cover. To optimize the content delivery, we opted for three different session formats and added a complementary World Cafe session at the end. Now, let’s take a look at the actual sessions. To kick things off, the Success Day facilitator, Juraj, prepared an icebreaker to reveal the main challenges that the team is struggling with. He proposed a snowball fight – in the middle of summer! We handed out pens and paper and asked the team members to write down their personal challenges. Chaos and laughter ensued as the papers were crumpled into balls and thrown around the room. Then we grabbed some of the snowballs and read out some of the anonymous notes. It was a not self-serving exercise. The aim was to get people to reflect on the hurdles they encounter in their daily work and encourage them to look for the right answers. “It was reassuring to hear my colleagues are facing the same challenges as me,” noted one of our Helpline champions. Adults are in charge of their own learning. To make training effective, Malcolm S. Knowles recommends leveraging the internal motivation or highlighting the challenges that people are facing. Then, we moved to the core part. Juraj invited our UK Key Account Manager, Abi, to co-lead the first session with him. They wanted to cover the most important points on What it takes to roll out Slido at (bigger) events, but decided to do it non-traditionally. Instead of slides, they exclusively used live polls. This way, they were able to evaluate the experience level and opinion of the audience immediately and create room for discussion. The session generated a lot of discussion with the audience, which was exactly what we wanted! But we also learned a lesson there. As the conversation continued, the focus wandered and we marched through the session without clearly stating the right answers. The lesson for our next training is to include some summary slides at the end to ensure nobody forgets/misses the most important points. The research suggests that engaged participants retain information better. Think about the engagement strategically and stitch your presentation with the live polls that will allow people to engage with your content. Working with such a diverse range of clients who all have distinct needs means we get the chance to collect some amazing stories. With everyone together, it was the perfect opportunity to share some of the top use cases and enlarge the knowledge arsenal of our customer success team. We used PechaKucha principles for this session. Each presenter had three minutes to share the selected client’s story in terms of goal, method and result. 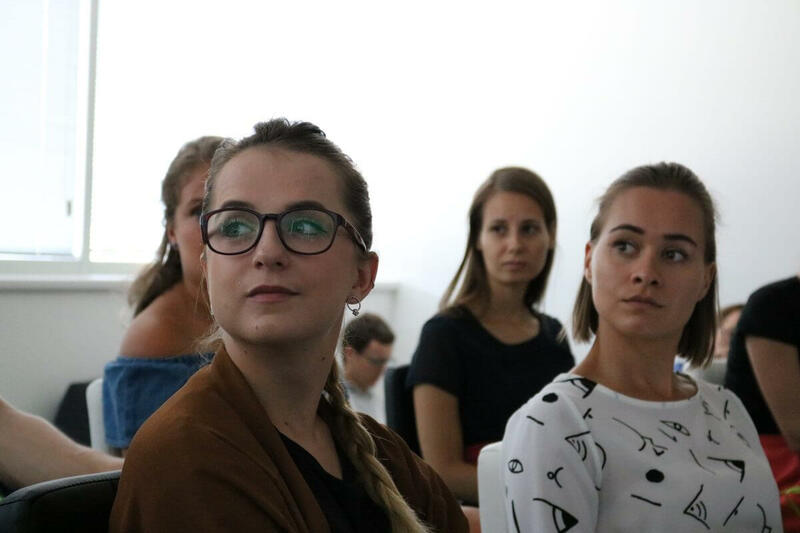 The session was a great learning experience for both the experienced and new members of our team: “I liked the use cases from events that not all of us had a chance to attend. It’s a huge help for us to have this inspiration.” It was the most popular session of the day (4.9/5). To close the session, Juraj had people vote on the use cases they felt were most useful for our clients, which evolved into a 10-minute long discussion where people shared why they had made their choice. Involve more members of your team to change the session’s dynamics, especially when you have a lot of information to convey. If you opt for PechaKucha like us, you can follow some steps that worked for us. Slido is increasingly being adopted across organizations. As enterprise clients have each particular needs and inquiries, hearing how to tackle these challenges from the most experienced team members can be super-helpful for our less seasoned colleagues. 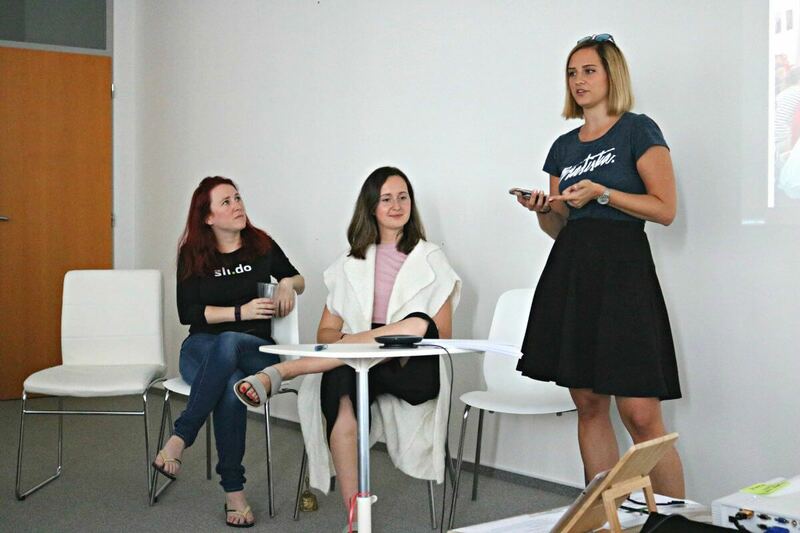 To involve people in the discussion, we opted for another unconventional format for internal training – a panel. We brought together our CEO, VP of Business Development and our US Key Account Manager, who provided answers and insights to the questions submitted through Slido and from the floor. As the training day slowly came to its end, it was time to give everybody in the room a chance to pick the brains of the other team members and help them with their very own challenges. We decided on a World Café (roundtable) format, but for the session to be as worthwhile as possible, we wanted to engineer the groups so they spanned each skill level. Juraj did a live barometer to divide people according to the number of years/months they’ve been with the company. Despite some initial reservations, the barometer served as a great energizer and allowed us to have some fun along the way. Split up into groups of five, each member was given six minutes to explain his or her struggle and collect tips and advice from the others. To make the most out of this session and ensure nothing was missed or forgotten, one of the group members took notes so everyone could leave with actionable steps on paper. People valued the time spent exchanging advice and craved more. In the feedback, they told us that we should hold this kind of session at least once a month. Challenge accepted! Time and again, the World Cafe has proved to be one of the most popular formats during our training days. Not only can people exchange their experiences but they can also create strong bonds as they realize that they are not the only ones facing certain hurdles. The good news is that they are easy to facilitate! There are two variations that we tried, both with great success. Variation 1: Crowdsource the topics and let the audience upvote the best ones. Then create separate tables and assign one topic to each. Lastly, let people select the table. Variation 2: Split the audience into groups of 6-7 and then let each group member write down the challenge that he or she is facing. Then in 6-min rounds, let the rest of the group try to solve his or her issue. Before ending the day, we wanted to give our team time to digest what they had learned and to reflect on the day. 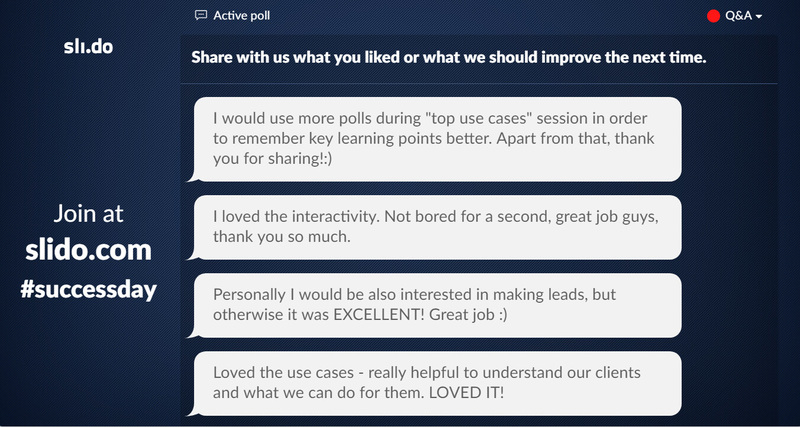 To measure if the Success Day had actually been a success, we encouraged them to give us honest and open feedback via open-text polls as well as rate each session on a scale of one to five. Close the learning loop. Let people reflect on what they learned and get them to assess if the challenge that they identified at the start of the day had been solved. 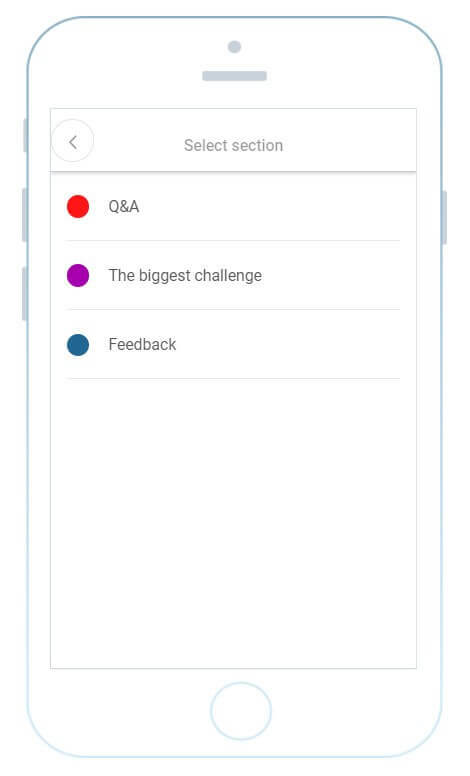 Finally, run an anonymous survey to collect the feedback to evaluate what went well and what needs to improve. Extra tip here: make sure that you include an open-text field and encourage people to elaborate on their experience there. We collected the most valuable feedback this way. Here we circle back to the big question: was the training effective? While only the new season will prove how much stuck with the team, the after-event feedback shows that targeted content and a strategic meeting design are the foundations of any effective learning and personal growth. Finally, we want to say Thank you to everyone for being part of this amazing day. And as one of our fellow colleagues noted: “This should happen regularly as it really explored unexpected areas,” – we cannot wait to do it again!